For your receptions, we offer a choice of menus according to your event and your budget. All guests must have the same menu, but of course we will substitute dishes for people with food intolerance (please inform us 3 days in advance). We require a deposit of 70% upon reservation, with the balance payable on the day of the event. The number of guests invoiced will be the number confirmed to us three days before the event. Opening hours after midnight will be invoiced at €250 per hour. Please see our terms and conditions of sale. 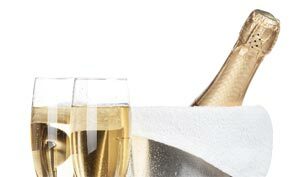 Champagne promotion with banqueting menus! There's a menu for every occasion! La Bonne Franquette is an original and welcoming place to hold your celebrations, family parties, professional events etc.